Wondering what the LRV and THM files are that appear when you shoot GoPro videos? Here's what they do. When you go to download video from your GoPro's memory card, you might have noticed that there are some other files on there in addition to the MP4 video file. They have the same filename but a different extension. The ones you'll see on the current GoPro are THM and LRV files. Both of them are files used by GoPro's mobile apps, GoPro and Quik. So do you need to keep those files too? And are they important? Here's an explanation and what they are and why're they're there. First, the short version, and then the more detailed explanation. What are LRV and THM Files on GoPros For? LRV files are low-resolution video files used by GoPros as video previews. THM files are JPG thumbnails used by GoPros as photo previews. Both are used by the GoPro mobile apps. You can safely delete both filetypes--they'll be regenerated from the original MP4 or image file if needed. 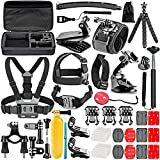 What is a THM File on GoPro? The file extension .THM stands for Thumbnail. It's a small image file that's 160 by 120 pixels. It's what you see in the GoPro app as the thumbnails to visually represent each video file. What is an LRV File on GoPro? The file extension .LRV stands for Low-Resolution Video. These are what you're actually seeing through the GoPro app when you play back the video. The reason these are used rather than the original MP4 videos comes down to filesize. The high-resolution video files that the GoPro shoots creates very large files. For instance, 1 minute of 4K30 with Protune on generates a file about 450MB in size. Trying to stream that over wifi to your phone app not only strains the speed of the wifi connection, but it also consumes a lot of CPU processing power and therefore eats into the battery life of both your camera and phone. The LRV version of the same video comes to around 20MB. That's much easier to work with. These LRV files, then, correspond directly to what's in the MP4 files but at a much lower resolution and filesize. These are what the GoPro app is referring to when it gives that blue warning at the top that it's playing back a low-resolution version of the video. If you're familiar with working with something like Final Cut Pro X or Adobe Premiere, these LRV files are proxy similar to the ones you can create in both those editing apps. They offer a lighter weight version of the video that you can use for editing and viewing, and any changes your make can be transposed across to the master video file (MP4) later on. If you want to take a look at exactly what the LRV file looks like, most apps can't play that file extension directly. But just change the file extension from LRV to MP4 and it'll play back like a normal video file. Do I Need to Save LRV and THM Files? Not really. The MP4 files are the important ones. The LRV and THM are used as temporary utility files and contain no useful information beyond the original MP4. So if you have the MP4 files, you're all set. The others are only used by the GoPro mobile app. What Happens if I Delete the LRV and THM Files? If you're not using the GoPro app, nothing. Just use the MP4 files for playback or editing in your video editing software. 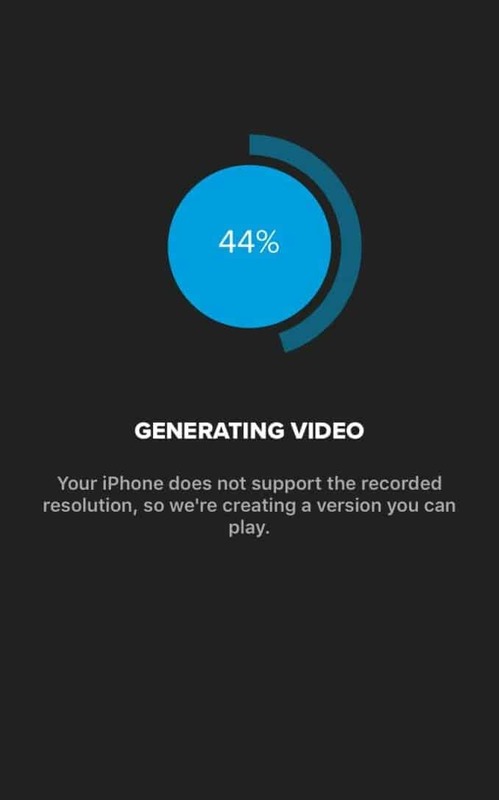 If you are using the GoPro mobile app, you can try playing back one of the MP4 videos directly. 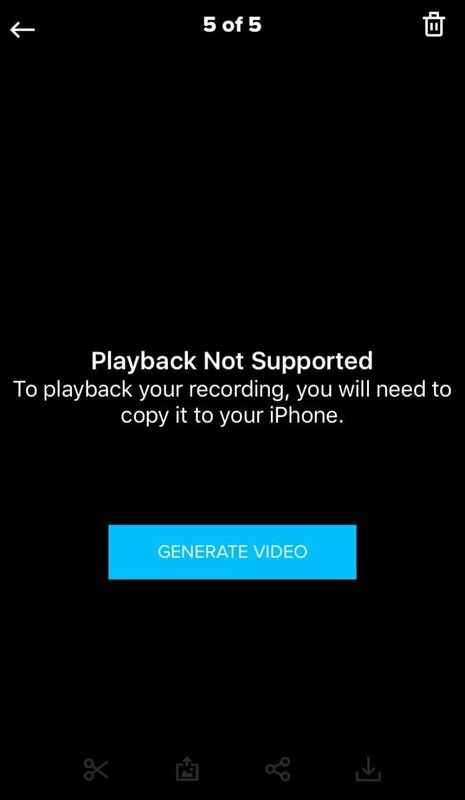 You'll get a warning that playing back video of that resolution isn't supported and an offered the option of generating a new proxy version. These new proxy versions generated by the app aren't saved on the memory card--they're saved in the phone's storage. I guessed the .thm files were thumbnails but the .lrv files had me stumped, safely deleting them now!